Metro: Circo Massimo, and bus #118 if you'd like to avoid the walk from there. 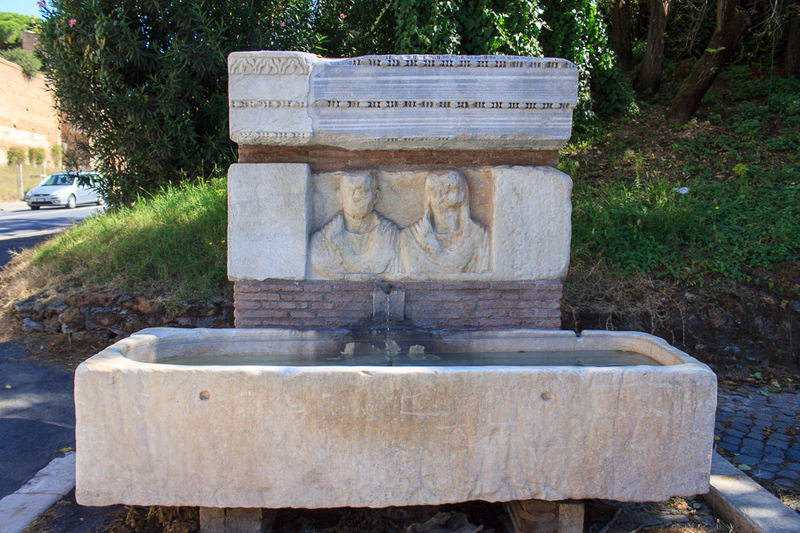 The Fountain of Porta San Sebastiano consists of a tank at ground level made from a Roman sarcophagus, with two figures, a man and a woman, that look like they were 'borrowed' from a funeral monument on the Appian Way above it, topped by a Roman architrave. 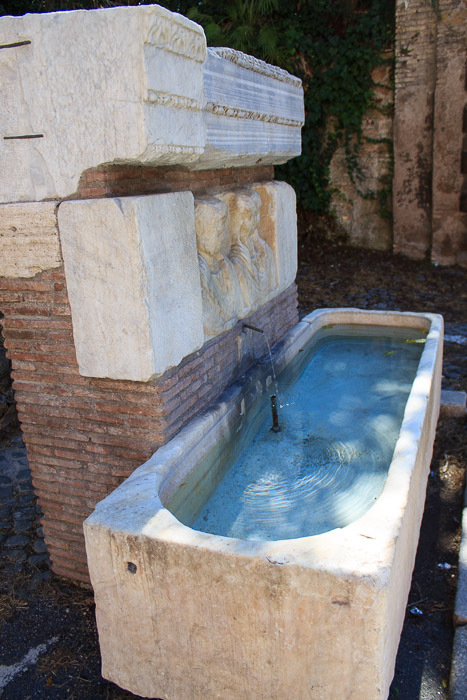 See all Fountain of Porta San Sebastiano photos.